The author gives permission for this article to be published either in part or completion upon condition of quoting its origin. From time immemorial, man has questioned his environment, his place within it, and as more recent history proves, often through endurance and perseverance, sought answers to explain the seemingly mysterious price movements of stocks, bonds, and commodities. Is there really any understandable structure, rhythm or logic to these huge price fluctuations? And if so, can we use such knowledge to obtain a glimpse of the future? To answer this most basic of questions, we employ some rather complex yet revealing processes – two ‘deterministic ‘ methodologies, the Elliott Wave Principle, a function of pattern repetition and amplitude measurement incorporating the Fibonacci Summation Series, and Cycle Analysis, to depict the elapse of time intervals. The commodity markets were trading long before stock indices and bonds were created, and now they’re back in vogue. That is great news for producers given the prolonged bear markets of the late 70’s into the late ‘90’s, but can there be a sustainable uptrend for them to profit by? Where next? The wave Principle states that the markets are always in a state of flux, vibrating to a rhythm with alternating sequences of ‘expansion’ and ‘contraction’ and this is unalterable whether viewed over the eons of time, or within the shortest movements tracked by the day-trader. Price ‘expansion’ can be defined as a five wave price-swing, and ‘contraction’ as three. When five waves have completed, it runs to a point of exhaustion then allows the ‘contraction’ phase to begin. This constant push-pull effect creates a balancing of opposite forces. The CRB Cash (Continuous Commodity Index) is the oldest of two indices frequently traded and data history goes back several hundred years (courtesy of the Foundation for the Study of Cycles). The Elliott Wave Principle shows a clear five wave pattern approaching completion from the Great Depression lows of 1932. Using fib-price-ratio measurements, the 5th wave can be expected to exhaust during the next 18 months, max. 2yrs towards price levels of 849.07 – and in the years that follow, will stage a massive decline into the late part of the decade as the counter-balancing ‘contractionary’ phase dominates the scene. The CRB Cash index illustrates a long-term bull market in progress from the Great Depression lows of 1932 and basis the Elliott Wave count, is approaching completion within the next 18 months, max. 2yr period with upside targets measured using the Fibonacci Summation sequence towards 849.07 – see fig #1. The following years suggest a dramatic sell-off that acts as the counter-balance to the preceding 80yr uptrend. Cycle analysis works similarly to the Elliott Wave Principle but deals with the dimension of ‘time’. The repetitive nature of price-activity can also observed within similar and constant time-intervals. For the CRB Cash Index, a 28.4yr to 30.5yr cycle dominates – this can be seen repeating during the last two hundred and fifty years – see fig #2. Notice that the next peak is already approaching and so supports the Elliott Wave count that depicts this index approaching a high. Before a final surge into the price target range occurs, a sizeable retracement decline is expected during the remainder of 2011, ending by latest into Q1 of 2012, but then acceleration higher begins the final sequence. More detail of this action can be seen in fig’s #3 & #4. There is a high energy/crude oil component in the CRB indices; however, it remains uncertain as yet whether crude oil will manage to trade above the current historical high of 147.27 because of its different wave structure. A close-up examination of the 28.4yr periodicity shows just how late in the cycle prices are – see fig #4. Base metals also feature as a large component of the CRB and in particular copper. Like almost all of its commodity counterparts, prices hit rock bottom in 1932 then underwent a bull market that lasted 74 years whilst unfolding into an Elliott five wave pattern. The long-term uptrend effectively ended already, at the highs of 8875 (LME 3mths) in May ’06 and has since collapsed the recovered all of this plus a little more as the ‘contractionary’ phases unfolds into what Elliott Wave practitioners describe as a huge decade-long expanding flat pattern – see fig #5. The feature of this type of ‘contractionary’ pattern is that it allows a brief price extreme that pulls prices into a new record high before staging a reversal, then collapsing. Like the CRB Cash, it would seem that this upward phase remains incomplete, but a sharp retracement decline can be expected during the remainder of 2011 before turning around for one last advance – upside targets are measured towards 13920 and then in the years that follow, a sustainable decline begins with ultimate targets towards 1375, reducing the price to 1/10th of its all-time high. To many that have traded gold in recent years, a replication of anything similar would be just unthinkable. But in fact, the very same pattern emerges from its own low of 1932, when trading at just US$17.05 dollars an ounce (free-market price, not gold-standard). A huge five wave pattern is visible and approaching completion. The 5th wave labelled in cycle degree began gold’s more recent surge higher from the Aug.’99 low of 251.70 – see fig #6. The price outlook for the next two year period includes a more shorter-term retracement decline during 2011, shaving about -20% off the price before a strong turn-around begins a final advance to new record highs, with fib-price-ratio measurements projecting targets to just below 1900.00+/-. Like its counterparts, it too relinquishes its long-term uptrend to the beginning of a 'contractionary' phase of development that can be expected to last into the late part of the decade. Finally, the grains and foodstuffs story makes compelling reading. Many are outperforming others but there seems to be a lack of consistency of pattern when making various comparisons – very different to other asset classes that have distinct positive correlations. The Soybean price activity is interesting because the main price advance that began at the same time everything else did (gold, for example), in Q3 of 1999 (from 401.40) has taken the form of a very different type of Elliott five wave pattern – an expanding diagonal. Every bull market trend must end by making a new price extreme (a new high) whilst unfolding into a five wave pattern. It seems that soybeans is doing so but in this form of a gramophone, composed of 5 waves or price-swings that expand as the pattern progresses towards its completion. But in order to work, a deep retracement decline must first unfold before one last and final advance pulls prices into a record high – see fig #7. The retracement decline would be expected to begin at any time from March-April, and decline towards the fib. 76.4% target area of 665.50 before heading north with cycles pointing towards a culmination into late 2012, early 2013. After that, this contract, along with the other commodities will undergo a long-term adjustment, a re-balancing period of contractionary declines into the years 2016-18 and perhaps a little beyond. These track-records represent a sampling of some of the price forecasts we have published in our various publications of the last two decades since WaveTrack’s early beginnings in 1992. 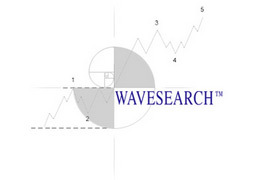 The Wave Principle - often referred to as Elliott Wave is a unique methodology that applies Natures Laws, those encompassing the Natural Sciences and Universal Geometric Philosophies to the financial markets. 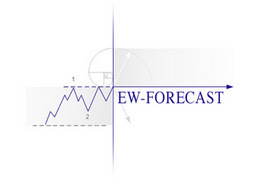 EW Forecasts - Institutional clients with a complete macro outlook of the major markets. 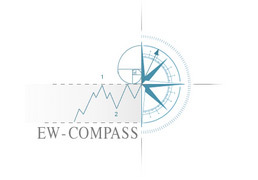 EW Compass - identifying & forecasting short-term price trends and reversal levels for many of the major markets including stock indices, bonds currencies and commodities.